Muskoka real estate is highly desired, attracting buyers locally and internationally. Discover your lifestyle, with limitless opportunities. Whether you are looking for a luxurious estate, cottage retreat or an exceptional residence…your experience awaits. My intimate knowledge of the Muskoka market allows me to connect with clients and ultimately lead them home. Watch. Enjoy. Learn. 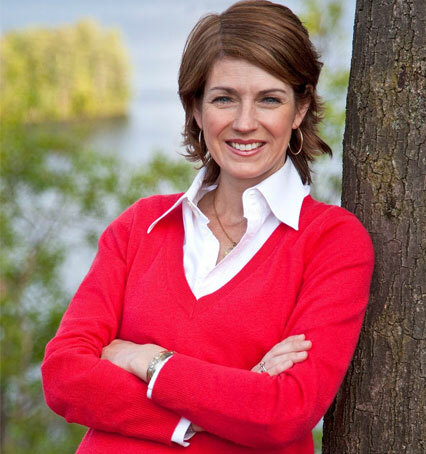 Jane shares practical Muskoka real estate knowledge for your next investment. Watch from your smartphone, notebook or desktop. Start My Property Search What Is My Property Worth? Peninsula Lake is a mid-sized cold-water lake located just east of the Town of Huntsville in the District of Muskoka, Ontario, Canada. Municipal jurisdiction is split between the Town of Huntsville and the Township of Lake of Bays. The shoreline of Peninsula Lake is generally characterized as being typical of most developed cottage country lakes. The land immediately surrounding Peninsula Lake is predominately comprised of residential uses. However, there are 7 commercial resorts, one commercial ski hill and one residential condominium. There is no industrial development, although the area was heavily logged during the past two centuries. The first and largest of a four lake chain surrounding Huntsville, Ontario, Canada. Lake Vernon is truly a majestic Muskoka setting for quiet enjoyment of all nature has to offer. Boasting an abundant variety of plant, fish and wildlife, Lake Vernon retains much of its original natural landscape, with significant portions of undeveloped shoreline. Lake of Bays is a large lake in the District Municipality of Muskoka in Central Ontario, Canada. It is located in the Township of Lake of Bays, which is named after the lake. Ontario Highway 35 runs north and east of the lake. Most noteworthy, the lake is fed by Oxtongue River, as well as other rivers and creeks flowing from the north-east (Boyne River and its tributary Sixteen Mile Creek, Ten Mile Creek, Hollow River, St. Mary Creek). Bigwin Island is the largest island in the lake; other islands include Burnt Island, Fairview Island, Langmaids Island, Pancake Island, Raynor Island, Rock Island, Haystack Island, Millichamp Island, Reuben Island, Crown Island and Peanut Island. The irregular shape of the lake is defined by many bays such as Rabbit’s Bay, Burnt Island Bay, Whitehouse Bay, Montgomery Bay, Portage Bay, Haystack Bay, Ten Mile Bay, Dwight Bay, Trading Bay and Murky Bay. Fairy Lake is nearly 10km long, with a perimeter of about 22kms and a maximum depth of just under 70 meters. Along with the three other connecting “Huntsville Lakes”, it affords some 60kms of boating. Mary Lake is a popular summer cottage destination lake as its lies in the heart of cottage country just south of Huntsville. The lake is very scenic and can be busy with boating traffic at times. However, the fishing remains decent. Smallmouth bass are the most predominant sportfish species found in the lake, although lake trout were stocked in the past to ensure a consistent fishery for these popular fish. Skeleton Lake is thought to have formed from an asteroid impact. It is named because two skeletons were found resting on the rocks by the original surveyors. A local Indian chief told that his people had camped one winter the lake. When food became scarce they decided to move elsewhere, but one fourteen year old boy was to weak to move. His mother refused to leave him and they died of starvation together. The lake was named in their memory. Lake Waseosa is the largest of the four, but still a small lake (approximately 157 hectares). The average depth is about 20 feet throughout much of the lake, but there are 4 significantly deeper basins descending up to 70 feet making it a cold-water lake with a native population of lake trout and cisco. Waseosa has relatively little flow of water. There is one small stream that flows out through a culvert under North Waseosa Lake Road into Ripple Lake so the lake has a very low flushing rate. There are two wetland areas from which a very small amount of water flows to Lake Waseosa from two other lakes (Jessop and Clark) as well as several smaller wetland areas near the shore and a few streams draining nearby wetlands. There are also a number of springs that feed the lake. Bella and Rebecca Lakes are joined by a navigable waterway but are one congenial vibrant community situated in a natural wilderness environment. From infancy, my love for Muskoka and these two lakes has been ever evolving. You can find me and my family year-round enjoying these pristine lakes, whether it be out snowmobiling, sailing, waterskiing, or walking the Foundation Beach. I was raised on Bella and Rebecca Lake, am a year-round cottager and have retired parents living on Bella Lake. My lifelong knowledge of the local history, its members, seasonal lake changes, gives me the best local real estate insights and an unsurpassed wealth of experience. If you are looking to sell or buy, my passion for these lakes, offers a marketing experience like no other can provide. It gives me great pleasure to familiarize and welcome families to my neighborhood.